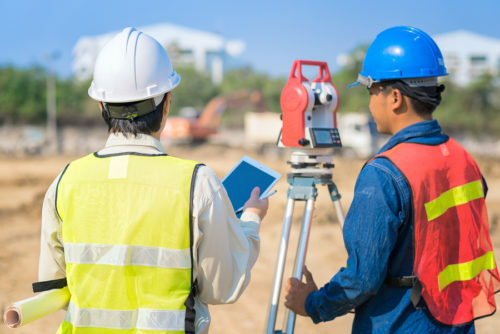 According to a survey conducted by the Ontario Construction Secretariat (OCS), Ontario’s construction contractors are feeling more optimistic about the state of the industry this year than last. The results of the Construction Confidence Indicator, released last month at the OCS State of the Industry and Outlook Conference in Toronto, indicate a score of 60 out of 100, meaning most Ontario firms expect more business to come their way in 2017. In total, 500 contractors were surveyed. The majority of contractors surveyed in the Ontario Construction Secretariat’s (OCS’s) Construction Confidence Indicator expect business to improve in the coming year despite external concerns. Confidence scores for each region vary, with Central Ontario scoring 62, the General Toronto Area (GTA) coming in at 61, and Northern Ontario rating 57. All are improved from last year’s score, with Northern Ontario’s optimism likely stemming from various post-secondary education projects at schools including Laurentian University (Sudbury), Canadore College (North Bay), and Confederation College (Thunder Bay). Dawn Desjardins, RBC’s deputy chief economist, provides a more-specific explanation. Other drivers likely also played a role. However, some of the shifts in the U.S. economy have inspired less-optimistic responses. Almost half the respondents stated they expect the new presidency to harm Ontario’s construction industry, focusing concern on areas such as increased material costs, negative effects on the manufacturing industry, and decreased project investment. Windsor-Sarnia led these concerns, with 59 per cent of respondents expressing them, while polarization was displayed in the Hamilton-Niagara region (where 40 per cent of firms believe the new administration will have a positive effect and 44 per cent believe it will be negative). That said, the survey is still primarily dominated by optimistic responses. ‘Significant growth’ is anticipated in engineering/civil construction (predicted by 43 per cent of total respondents and 57 per cent of Eastern Ontario respondents) and high-rise residential construction (45 per cent of total respondents and 63 per cent of Kitchener-Waterloo respondents). Employment is also expected to improve—the industry has seen an 11 per cent employment increase in the past two years, primarily in the unionized sector (where 83 per cent of firms employ apprentices, compared to 49 per cent of non-unionized firms).